TUESDAY, Feb. 9, 2016 (HealthDay News) -- Scientists who sequenced the genome, or genetic composition, of the Lyme disease-transmitting deer tick hope the achievement will lead to new ways to control the blood-sucking parasites. The decade-long effort involved an international team of 93 scientists from 46 institutions. 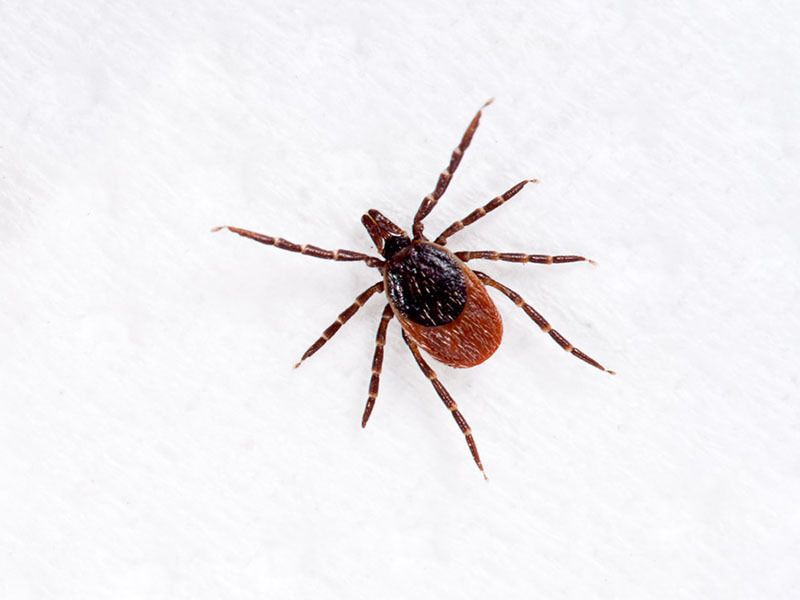 "The genome provides a foundation for a whole new era in tick research," project leader Catherine Hill, a professor of medical entomology at Purdue University in West Lafayette, Ind., said in a university news release. "Now that we've cracked the tick's code, we can begin to design strategies to control ticks, to understand how they transmit disease and to interfere with that process," she said. The deer tick, also called the black-legged tick, is the first tick species to have its genome sequenced, the researchers said. The findings were published Feb. 9 in the journal Nature Communications. Each year, about 30,000 Lyme disease cases are reported in the United States, mostly in the Northeast and upper Midwest. However, many cases are unreported or undiagnosed and the actual number is estimated to be 329,000 a year, according to the U.S. Centers for Disease Control and Prevention. Lyme disease is not fatal, but can be permanently debilitating if it's not treated early enough, according to health experts. Along with Lyme disease, deer ticks transmit other germs, including the potentially deadly Powassan virus, the researchers noted. Other species of ticks also transmit diseases to people.